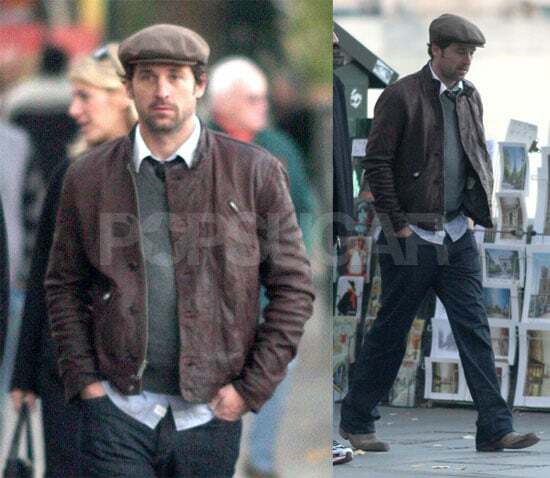 Patrick Dempsey may look like he's on the set of a new movie, but he was actually just dressed up to see what Paris has to offer — maybe he even ran into touristy Leo for a photo op. As much as we love our McDreamy/McSteamy men of Grey's, we've been itching for some new blood at Seattle Grace. It looks like our wishes are coming true — Joshua Jackson, one of our favorite hotties from the good old days is joining the cast! As of right now it's only a guest appearance in a few episodes, but fingers crossed that he can charm his way into a regular spot. We just hope Patrick can handle the competition. Patrick and Jillian Dempsey Celebrate 19 Years of Marriage in the Same Spot They Said "I Do"!